L-R: Ingabire Victoire Umuhoza, lawyer Gatera Gashabana, Alice Muhirwa and Martin Ngoga. About two months before the official opening of her trial in 2011 at the High Court of Rwanda in Kigali on serious charges including ethnic divisionism, Ingabire Victoire Umuhoza sought a private meeting with Prosecutor General Martin Ngoga. Ngoga is currently the Speaker of the East African Legislative Assembly (EALA) based in Arusha, Tanzania. In early April 2011, a year after her arrest, prosecutors led by Alain Mukurarinda had filed all documents with court and were waiting for trial date. But instead of preparing for her defense, Ingabire secured a secret meeting with Ngoga. It was held on April 8. Inside the one-on-one session, without the knowledge of her lawyers Gatera Gashabana and Briton Ian Edwards, Ingabire spoke candidly about her case. Ingabire told Ngoga that she wanted to enter a “plea bargain”. She proposed to the Prosecutor General that she would plead guilty to some facts contained in the charges. In exchange, Ingabire demanded that Ngoga give her assurances that he would drop some of the charges. The details of their conversation on that day are contained in thousands of pages of court documents filed with the High Court, and later in the Supreme Court. Caught off-guard, Ngoga told Ingabire that the time for plea bargain had elapsed. Ingabire had for months after her arrest been persuaded to admit to the cases, which could have ultimately led to no charge filed or alternatively led to less time in prison. But she refused. Some details of what transpired on that day were picked from court documents and published in a book by case prosecutor Mukurarinda. Ngoga “informed her that this was no longer his area of responsibility since the case had been transferred to the High Court for judgment on its merits, and that if she wanted to plead guilty she could only do so before that Court,” writes Mukurarinda, on page 194 of the book. 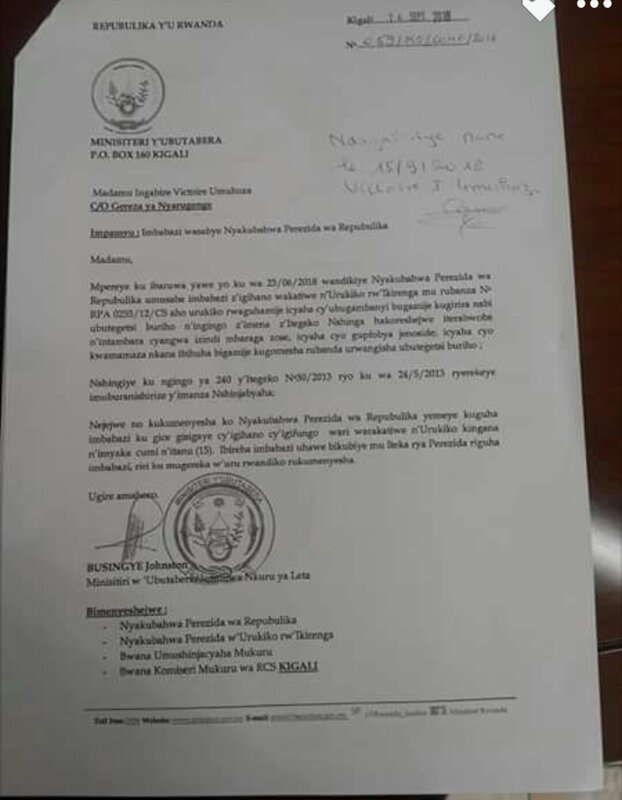 The French publication, “Qui Manipule Qui?” – a rare insight into the huge volumes of court documents has turned Mukurarinda into an “Ingabire specialist” sought after for appearance at conferences outside Rwanda and media interviews. In equal measure, Mukurarinda is subject of angry insults from exiled members of Ingabire’s political group. He has been called all sorts of names. Some have openly threatened him on social media and blogs. In interviews, he often laughs at the vitriol thrown at him. In the secret meeting, Ingabire replied to Ngoga that she could not plead guilty publicly before the Court, because that would be tantamount to betraying her supporters. There is no court-recorded analysis of what Ingabire was thinking in telling Ngoga this, but it is openly clear she wanted a deal from Ngoga that would allow her maintain a ‘high profile’. 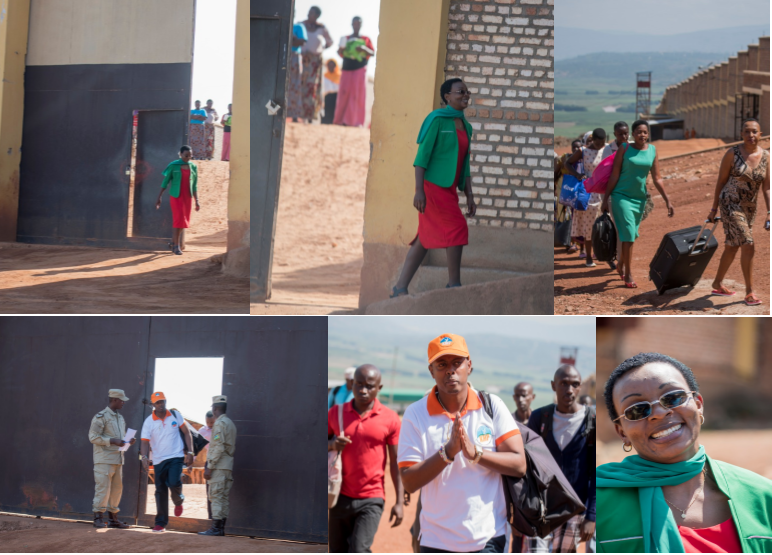 From the April 8 meeting, Ingabire returned to her jail cell at the maximum security facility “1930”, which has since been closed. For Ngoga’s part, he did not reveal the meeting to his prosecutors – expecting Ingabire was going to prepare her plea and present it to court. No other Ingabire-Ngoga meeting happened. The following month on May 16, Ingabire appeared in court for start of the trial charged with giving financial support to a terrorist group, planning to cause state insecurity and promoting ethnic divisionism. A lot has been written about these charges and we will not go into them for now. The case would feature all over international pages and broadcasts. President Kagame was branded dictator preventing a woman from challenging him. The case was adjourned several times as Ingabire’s defense team raised hurdle after hurdle. Then on April 16, 2012 – a year later, the High Court bench received a three-page handwritten document. It was a letter closed at bottom with “Madame Victoire Ingabire Umuhoza” and a signature. The prosecution told court that the letter was submitted to show the bad faith being exhibited by Ingabire and her team. Prosecution accused Ingabire of using delaying tactics to drag the case on well aware it will stay in the media spotlight in her favour. It turns out that Ingabire had penned a private letter to President Paul Kagame with a subject “Gusaba Imbabazi”. Right from the court session of that day, up until today, Ingabire admits she wrote a letter to Kagame, but angrily dismisses any suggestion it was an apology seeking clemency. The Prosecutor General Ngoga could not, in any case, commit the error of asking Ms. Ingabire for an admission of guilt, as he was not unaware that the trial had started on the 16th May 2011 and that, according to the law, had been removed from the case file as soon as it had been sent to the Court for judgment on its merits and could in no case negotiate a “bargaining plea”. Ingabire expected the prosecution to have been weak and wanted to muzzle them into playing by her tunes. Instead, Ngoga never accepted any of her other requests for meetings, according to court data. Surprisingly, when the prosecution filed in the High Court the secret letter in which Ingabire was seeking presidential clemency, she went into overdrive. Inside the court session on that day, her Rwandan lawyer was so disappointed. After the session, he threatened to withdraw from her defence team if his client continued doing things behind his back. Later on that same day April 16, 2012, Ingabire’s political grouping FDU-Inkingi released a statement announcing that Ingabire had “decided to withdraw, with immediate effect, from the show trial”. She said she would not attend any more sessions. 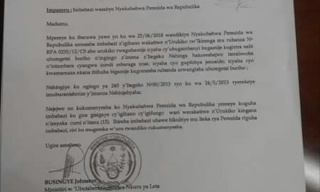 Ingabire’s group released a series of other statements claiming that the supposed letter to Kagame was a fabrication. As for the meeting with Ngoga, Ingabire’s team claimed it had been him who asked for the meeting not her. She gave a completely opposite version of what transpired between her and Ngoga. Perhaps aware that Ingabire was trying to play a political game on a legal issue before a court of law, the prosecution kept silent. There was no public comments on the Ingabire letter to Kagame or her meeting with Ngoga. Instead, a short statement from them at the time said the prosecution would not discuss the case because that was illegal. They basically refused to be dragged into Ingabire’s game. KT Press can now reveal that Ingabire revealed the Kagame letter to one person: Alice Muhirwa, who was her secretary and confidante. It is this lady who brought Ingabire food daily to the prison. Case prosecutor Mukurarinda also confirmed in his book that Muhirwa was told about the clemency letter. 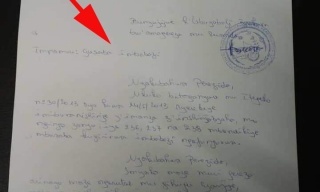 After the unsuccessful meeting, it is now clear Ingabire decided to send a letter to the President of the Republic, and not to the Prosecutor General Martin Ngoga, who had not even been sent a copy for information. No one will ever know what was on Ingabire’s mind when sending this letter, but she forgot that he couldn’t do anything about her plight even if he wanted to because the law stipulates that Presidential clemency can only be granted after all legal avenues have been exhausted. Despite Ingabire’s protests against the High Court proceedings, her case continued. In October of that year 2012, she was found guilty and sentenced to eight years. Prosecution dismissed the jail sentence as lenient and filed an appeal to the Supreme Court. In December of that year, Ingabire also submitted her appeal to the same court. Prosecution was demanding not less than 25 years behind bars and Ingabire wanted all charges thrown out entirely. In December 2013, the Supreme Court made its decision – ruling that her defense filings were manipulations of the facts. Some of her defense grounds were described as conspiracy theories. For example, Ingabire filed that her lawyer Gatera Gashabana had been part of a complex machinery working to convict her. Ingabire brought a strange witness to her defence who is only identified in the case documents as AA. The identity of the witness remains under wraps until today as per the orders of the High Court. Witness AA’s testimony was of paramount importance to Ingabire and her defence. It was going to show the High Court how agents of the State – namely the intelligence services, the police, the Public Prosecutor, in connivance with one of Ingabire’s co-accused Vital Uwumuremyi, had committed serious acts under criminal law, crimes for which they could even be prosecuted. According to this theory, all these people within the various State institutions, had devised a conspiracy to unjustly arrest, prosecute and convict Ingabire before the courts. According to Witness AA, the conspiracy took place in the northern part of the country, in a depot in the Mutobo transit camp where the witness lived and which, at the same time, served as a dispensary for sick refugees returning to Rwanda. Witness AA stated that the conspiracy took place in the presence of at least fourteen other people. The most astonishing evidence in Witness AA’s testimony, is that when Ingabire’s defence, for whom she was supposed to testify, asked her questions, she revealed that at least one member of Ingabire’s defence had known about this conspiracy and had done so long before she was prosecuted! It turns out later during questioning in the Supreme Court that witness was not credible. At the end of her (AA) testimony and despite the fact that they were part of the same team, when Gatera Gashabana put various questions to her, Witness AA did not hesitate to challenge Gatera Gashabana’s assertions, thus proving them to be false. Indeed, in her responses to the Supreme Court, witness AA totally contradicted this conspiracy theory that Gatera Gashabana had just presented to the judges. One of the contradictions uncovered about the witness AA is that she claimed it was Gatera who looked for her. Yet, under oath, she had revealed in written submissions that she is the one who initiated contact with Ingabire’s team because she knew of a “state conspiracy” against Ingabire. What Gatera only did was to travel to Northern Province to meet the witness and start preparing her to testify. Fast forward to 2018 and Ingabire has changed her story about whether she wrote any letter to President Kagame. In a completely surprising move, on the late evening of September 14 this year, a cabinet meeting granted clemency to Ingabire and singer Kizito Mihigo and pardoned 2,138 other prisoners. Nobody expected this. Ingabire was back in the news. But this time with a new twist. 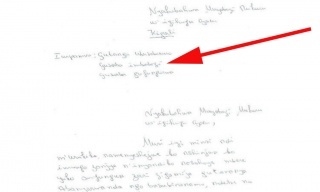 It is not just one letter that Ingabire wrote to Kagame, it is actually two! 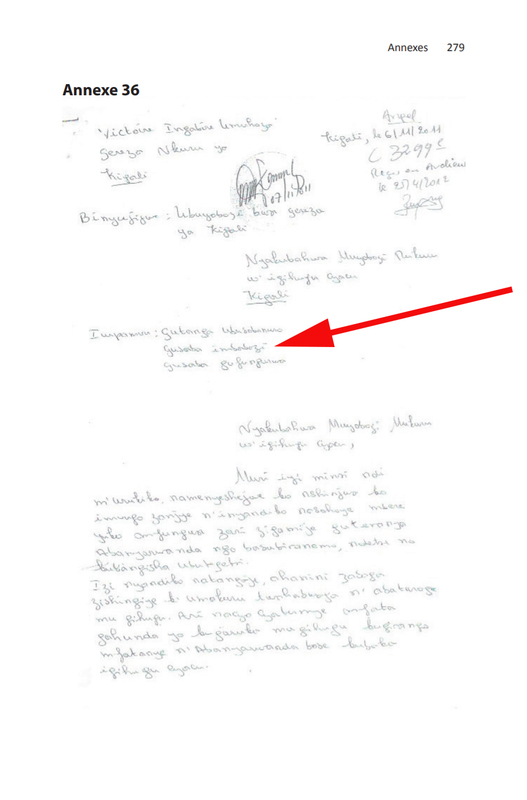 Ingabire hand-wrote three-page letter dated November 6, 2011 titled “Gusaba imbabazi”. Then she wrote another on May 25, 2018 also titled “Gusaba Imbabazi”. 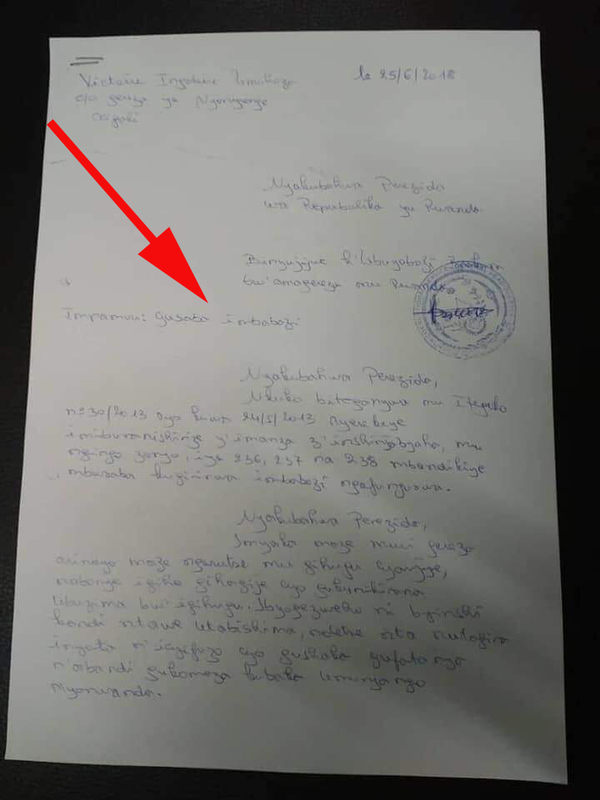 KT Press has established that following this second letter, Ingabire was informed in an official response from the Justice Ministry on September 14 that indeed government had received her letters and was going to grant her clemency. The same day, cabinet decided on her fate. She was freed the following day at 9am – along with all the others. Ingabire admits she did write to Kagame, but refutes the letters were an apology and seeking clemency. In interviews with British broadcaster BBC, American VOA & Germany’s DW, Ingabire remains defiant. 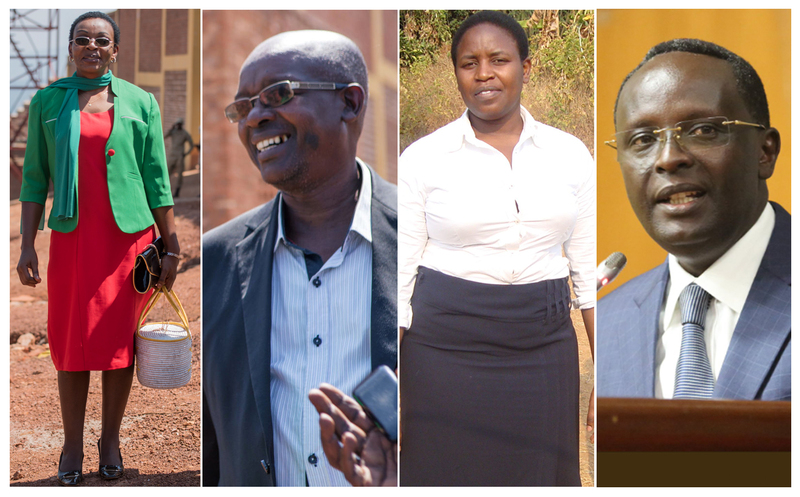 The letters are in Kinyarwanda, and English or French translations bring more controversy. It will have to be left to history to be the judge.